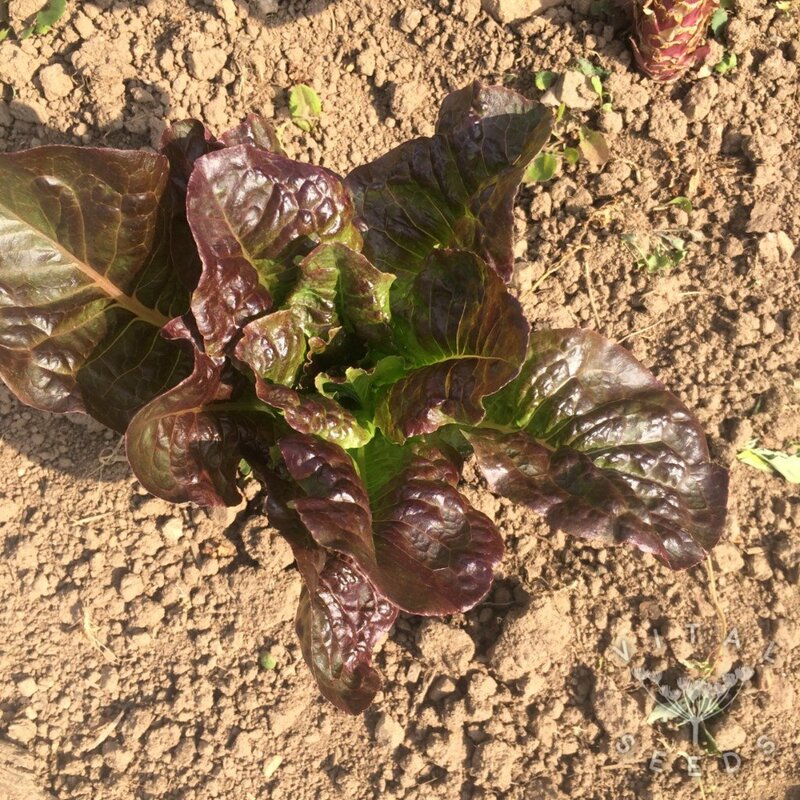 A small to medium sized dark red-maroon flushed cos lettuce with crunchy leaves forming a tight centre. 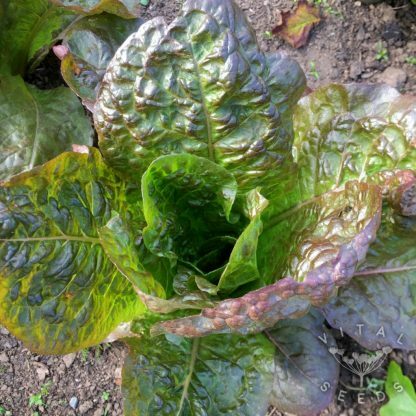 Cos or romaine lettuces are probably one of the oldest types of cultivated lettuce, originating in the Mediterranean. 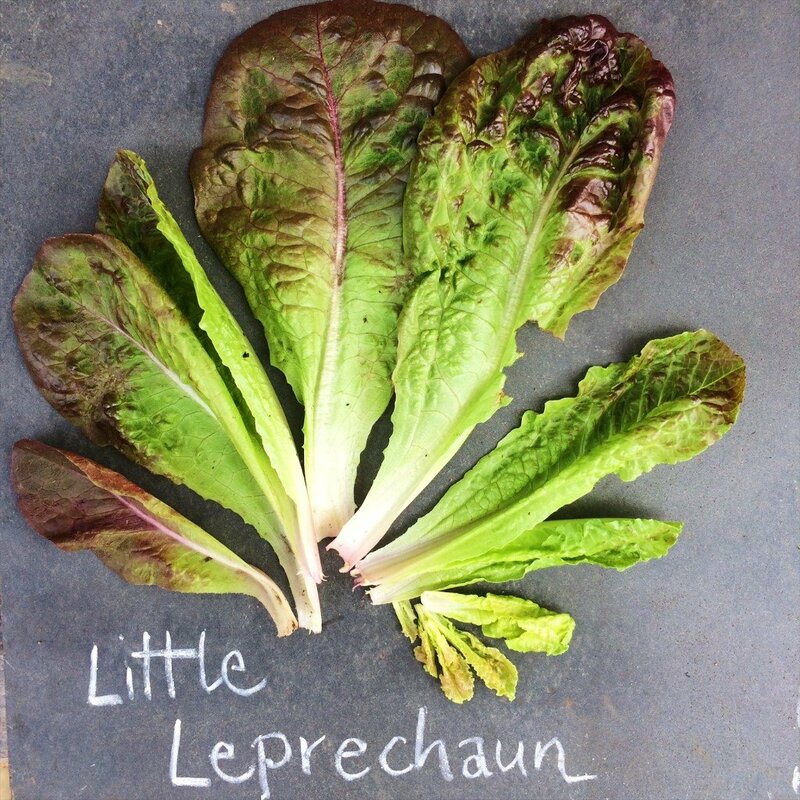 Little Leprechaun is popular as a salad leaf crop forming a compact, upright, dense lettuce with crunchy and tasty leaves, slightly tangy and very delicious. 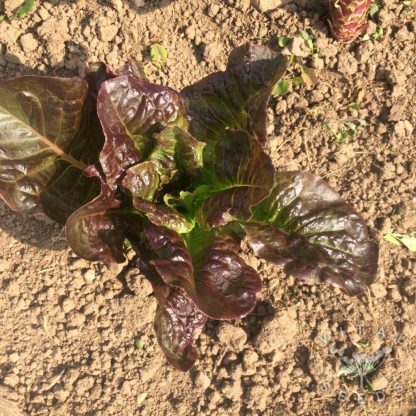 It can be grown outdoors throughout the growing season and is an old-time favourite amongst growers, gardeners and us.